How do you unlock the potential to change lives? Intel believes you look inside. 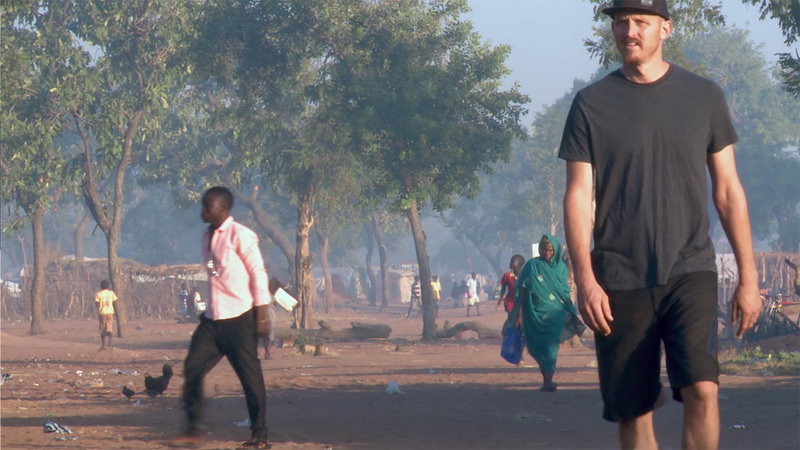 The corporation has launched an online film telling the story of Mick Ebeling, the founder of Not Impossible Labs, a company founded on the idea of technology for the sake of humanity. 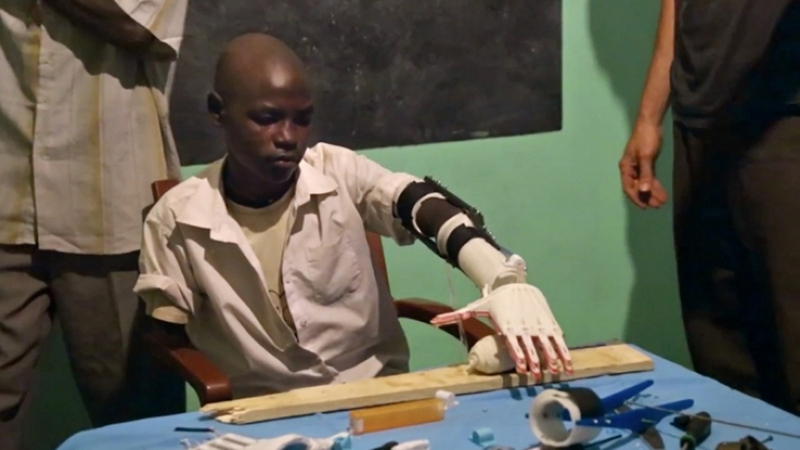 The 3-minute online film tells the story of Ebeling’s mission to Africa to establish the world’s first 3D prosthetic printing lab and training facility in a small village. 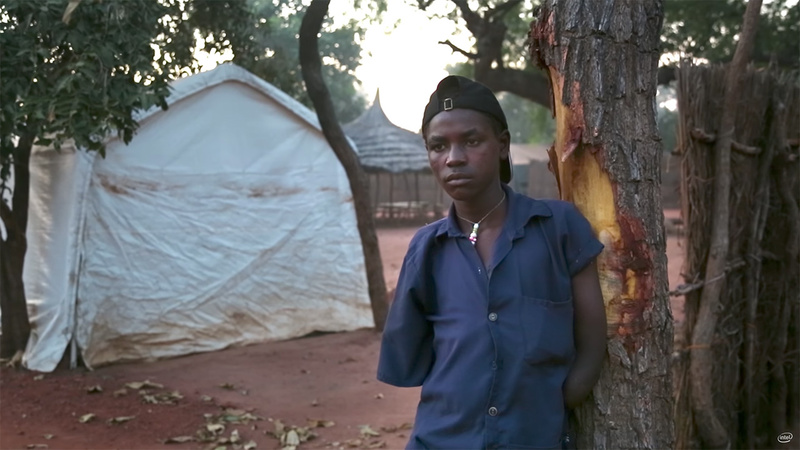 Inspired by the plight of a boy named Daniel, who lost both his arms during the civil war in South Sudan, Ebeling wanted to do more than just create prosthetic limbs for the more than 50,000 amputees in Ebelin mission was sponsored by Intel, along with precision manufacturing firm Precipart, which contributed financial and technology support, with Intel providing funds and laptops to get the project off the ground. According to Ebeling, who has previously created the Eyewriter, a device which enables disabled people to communicate and create art through their eyes, Intel and its technologies made it a natural partner for the project. In return the brand has created the film, which sits among its branded entertainment platform the ‘Look Inside” Film series. The “Look Inside” series sets out to celebrate the power inside people by examining how some very outstanding people have drawn from the power within them – with the help of technology – to achieve some incredible achievements. Ebeling’s film is supported by a twenty-minute video of an interactive Q&A with Ebeling. Intel is also using the hashtag #MyDaniel to encourage people to submit videos or tweets suggesting a new way to apply technology to a problem. Intel is fast becoming a leader in the branded entertainment space, and this film series is no exception. From its work with Toshiba to create three online branded entertainment series Inside, The Beauty Inside, The Power Inside as well as its content platform inside, Intel has been a market leadership in using arts, entertainment and content to create genuine connections with audience. It has to. Intel’s product is not one that is top of mind for many people, in fact for the majority it may not even be a consideration. As the processing chip that lives inside of other products, it’s not really a brand that springs to the forefront of people’s thoughts, so Intel works hard to ensure there is strong awareness of the brand and also to create emotional connections between consumers and the brand. That is of course why projects like the “Look Inside” series are hugely important to Intel. The success of its social films, Inside, The Beauty Inside, The Power Inside, were big business for the brand, winning the brand massive awareness, big audiences, advertising awards and even Emmy’s. These are big shoes to fill, most importantly because these projects really help cement Intel’s ‘Inside’ positioning and messaging. 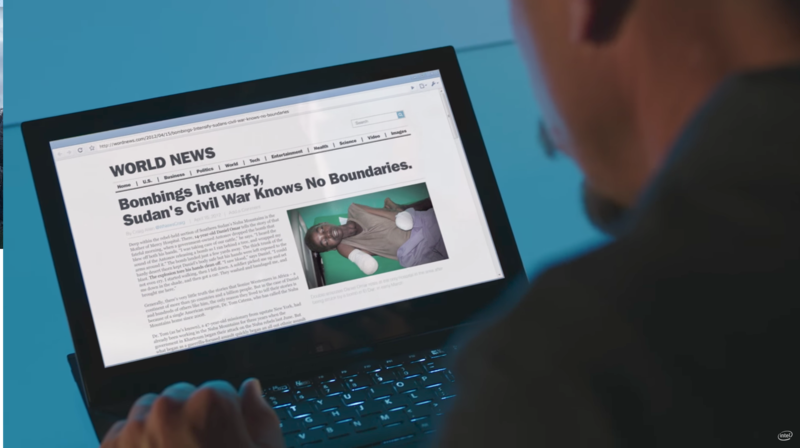 From the brand’s perspective the equity of Intel’s “inside” message is supremely important. “If you ask consumers what Intel does, what a processor does, they can identify it’s really important, equating it to the heart or brain of a computer, which has a great emotional appeal,” said Will McGuinness, executive creative director at Intel’s lead advertising agency Venables Bell, the agency behind the “Look Inside” films. In a bid to really capitalise on the equity of “inside”, Intel have set out to explore and mine the emotional connections we feel about the hidden qualities inside of us all. For any brand this is a very rich area to mine, however for a brand to push into this sort of storytelling the authenticity and tone of voice is crucial – it’s very easy to fall into schmaltzy, emotional messaging. With the “Inside Films”, Intel has created some really nice storytelling. There are three films, all well made, all compelling stories, each with a strong reveal. They are interesting, inspiring and very watchable. Each seems to have a different purpose. There’s Eric Weihenmayer, one of only 118 people to climb the seven highest summits on earth; Jack Andraka, the 15-year-old who won the Grand prize at the 2012 Intel International Science and Engineering Fair after inventing an early detection method for cancer; and ‘Project Daniel’. While Eric’s story seems to position the messaging of the power inside, Jack’s builds on this to reveal the role technology can play, and Project Daniel, seeks to demonstrate the role technology and Intel can play in changing the world. It feels like there is more to come from this unfolding story and strategy, as though Intel has a lot more to say. The strategy with this series seems to be to promote Intel’s corporate social responsibility and demonstrate its belief in the empowering role that technology can play in our lives, and show the examples of how Intel has helped realise this. I like the films and I like the stories, but as a series of branded entertainment this falls a little flat for me. Strategically this series is doing a great job of positioning the “Inside” message and of showcasing Intel’s CSR and the good work it is doing. Artistically these films are well made pieces of film. The stories are interesting and inspiring. As a concept I really like it and I think it fits well with Intel’s ongoing strategy to lead. However, these feel less like films and more like ads to me. The objectives are too overt, too close to the surface. It lacks an authenticity that would enable these films to stand alone, because without Intel’s messaging the films are to shallow, to surface level and lack the depth to be great short stories. Clearly this is about taking Intel’s message to a mainstream audience. While it’s social films targeted young, tech savvy audiences, these films are speaking to a widespread audience skewing to an older 35 plus demographic and they are going for this market with stories full of inspiration. There is a huge appetite for these type of heart-warming, inspiring online films, which is evident in the current success of sites such as Upworthy. These films appear to have been sculpted to target this audience and to meet this need. They are also being screened on TV as advertising in the US, which confirms the desire for these films to be spreadable via social media. It also goes someway to explaining why they fall a little flat as films and work more as branded content made for social sharing. This was a hard post to write because there is nothing wrong with this series or these films at all. The strategy is sound, the artistry is strong and these are great pieces of storytelling. They work well at reinforcing the brand’s message and do an excellent job of introducing a new mainstream audience to the brand’s powerful positioning. The problem is that these films could have been made by any tech company. All of the technology companies are pushing these heartwarming stories of how technology helps people and its getting harder to tell which brand is which. These films could have been Microsoft, Google, IBM, will the Intel message get through to audiences? That is yet to be seen. I appreciate that these films are targeting a mainstream audience but the strategy is so similar to so many other brands, that it loses some of its edge. The big issue for me is that I wanted – and perhaps expected – more from Intel. After trailblazing the branded arts space with its social film experiments, these films seem like a step backward into a safe and less innovative space. I’m hoping this series goes on to step it up and demonstrate the market leading innovation I’ve come to expect from Intel. This is one to watch. These are lovely well made films which fit Intel’s strategy well, however they lack the strong innovative approach Intel has become known for.